This Friday, April 13, the superstitions will be swept away at the Lange Nacht der Forschung – Long Night of Research, the biggest research-related event across Austria opening the doors of research institutions to the interested public. At the Station “Computerviren” anyone can play the game Catch the Virus, and save the data in the organ transplantation database! VCLA activity will be available in English and German language, with the support of the LogiCS PhD students. 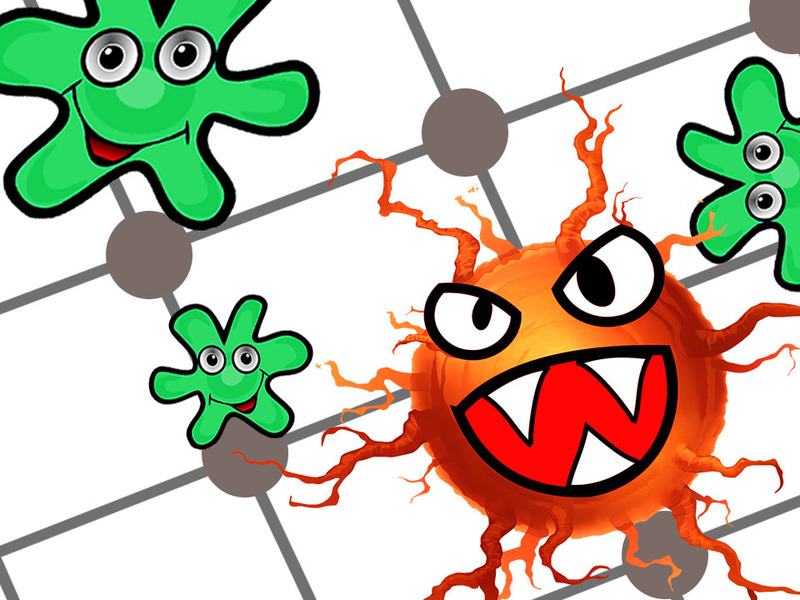 The game Catch the Virus (Fang das Virus), is based on the Cops and Robbers game (Seymour und Thomas 1993), which has been specially adapted by Professor Stefan Szeider to give the visitors of the LNF2018 the chance to get to know the world of algorithms. 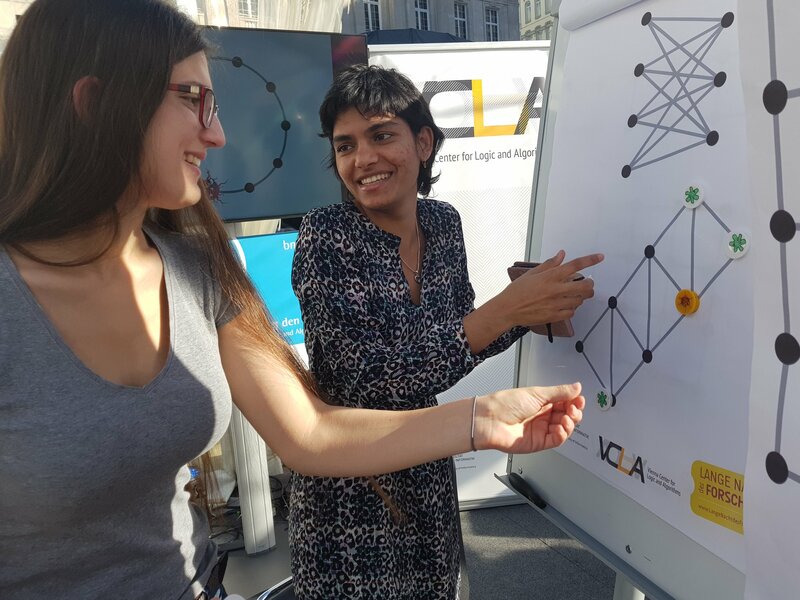 Hanna Lachnitt, the second recipient of the Helmut Veith Stipend, and Neha Lodha, the PhD candidate of Logical Methods in Computer Science – LogiCS doctoral college, funded by the Austrian Science Fund (FWF). Another VCLA initiative to foster the literacy skills of 21st century is the video competition for the youth “Algorithmen in 60 Sekunden”. With award fund of 6000 EUR, expand your grey matter and allow yourself to be creative. Register by April 25 – Make the Video by May 15.